First there were cat cafes. Then sheep cafes. Then everyone got into owl cafes, which is confusing because owls aren’t that snuggly. But we know one thing for sure: People really love hanging out with animals. Pet cafes have been popular for several years in large Asian cities like Tokyo and Beijing. Customers flock to these cafes to enjoy time with cats, rabbits or even snakes — pets that small urban apartments often can’t accommodate. Animals in cafes can also provide comfort to visitors who are dealing with emotional stress or just need a mood boost, a rabbit cafe owner told CNN. Considering hopping on this business trend and bringing an animal cafe to your hometown? Here’s what you’ll need to know. I’m focusing on cat cafes since they’re the most common, but you could likely apply much of the same advice to other types of animal cafes. Opening an animal cafe isn’t as easy as it might sound. Business models for cat cafes vary, but there are two common ways these endeavors make money. In one model, visitors pay a cover charge, usually by the half-hour, to play with the cats and enjoy complimentary refreshments. In the second model, the cover charge is lower, but customers have to pay for food and drink. You’ll have to decide which is the better fit for your business. You’ll need to consider crowd control measures. 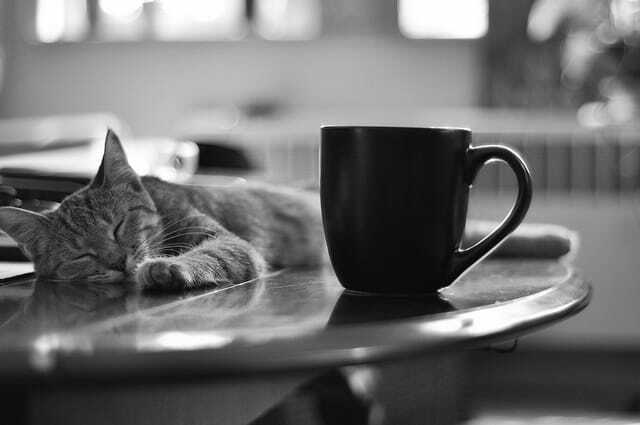 While the cats in cafes are usually pretty congenial, you need to establish limits help keep things under control. Most cafes allow a limited number of guests into the cat zone at any given time, and some cafes operate by reservation only. Meow Parlour in New York City has only been open since the fall, but is booked up through the end of February. In addition to controlled entry and insurance considerations (imagine getting sued over a cat scratch?! ), cat cafe owners have to wade through zoning issues. When Kanchan Singh planned to open Crumbs & Whiskers Cafe in Washington, DC, she explained she’d have to get a zoning exemption to allow pets to roam freely in her business. “This process takes anywhere between three to seven months after securing a property,” she wrote on her website for the forthcoming cafe. “This is why it is so hard to say when the cat cafe is expected to launch.” She added that community support is an important element of having the exemption granted. Crumbs & Whiskers has been so popular in Washington, D.C. that Singh has since opened a second location in Los Angeles. If you’re hoping to open a cat cafe in your own city, you may want to keep your plans discreet until leases and zoning or health department rules are finalized. It may be several years before a standardized method of pet cafe regulation, even at the state level, can be developed. At most American cat cafes, the food served to customers is likely prepared in a separate location. Meow Parlour cofounder Christina Ha explained to Eater that she spent a lot of time in discussion with the New York City Department of Health before opening the cafe. Ha also noted that Meow Parlor’s food is all pet-friendly, as the company eschews ingredients that might be toxic to a cat. “What’s important is that it tastes good, it travels well, and if a cat eats it they won’t die,” she explained. If you plan to serve sweets at your pet cafe, plan for double the venue size — or double the leasing cost. Consider timing as well, since locating a sizable space that fits your budget may take time. Many of the cat cafes that have sprung up in the U.S. work with local animal shelters to facilitate cat adoptions. While visitors can’t scamper out of a cafe with tabbies under their arms, they can fill out adoption interest questionnaires during their visits to start the adoption process. In its first 15 days, Cat Town Cafe in Oakland, California, helped 32 cats find adoptive homes. Cat Town Cafe specifically offers juvenile cats — for maximum playfulness with guests — and works with a local cat rescue center to help manage the many kittens they come to care for. Not every cafe focuses on kittens. Meow Parlour houses a variety of cats, including older cats and black cats, both of which have lower adoption rates. In most cases, shelter employees finish up the adoption process after receiving interest through a cafe. Lauren Lipsey, director of rehoming at the Washington Humane Society, worked with local music venue Rock & Roll Hotel to host a pop-up cat cafe in 2014. Although the venue had hoped to have cats roaming freely through one level of the space, Lipsey knew it would take more than a baby gate to contain the critters. The solution: two enclosed rooms (which are usually VIP rooms for bar patrons) with four cats roaming each. The event was free, and Rock & Roll Hotel donated a portion of food and drink proceeds to the shelter. While the event exceeded all expectations for attendance, the novelty of a one-night program wasn’t a great fit for the cats. “Even in a smaller room with a controlled flow of people in and out, the cats were scared,” Lipsey said. Your Turn: Would you consider opening a cat cafe? Have you ever visited one, or another animal cafe?